Drilling and Grouting Services (U.A.E.) 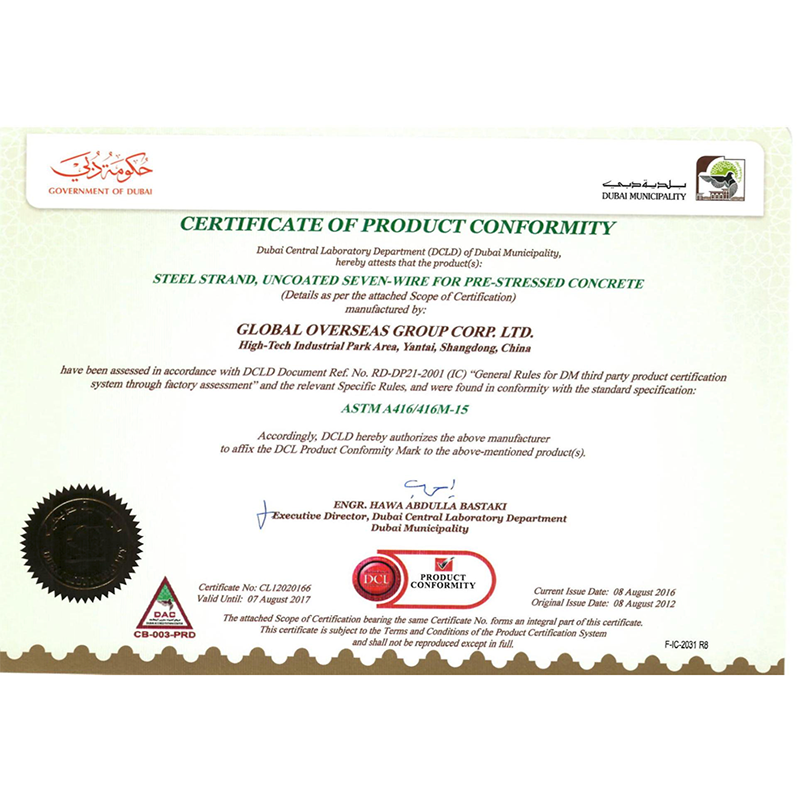 LLC was established within UAE in year 2004 in association with DGS Pty-Australia. DGS L.L.C. is UAE’s prominent Post Tensioning company and enjoys an excellent reputation in the market built upon product quality and friendly, but efficient services. No matter what its line of business, a company’s pedigree is the one core value that readily shines through and helps distinguish it form the competition. DGS is a well known reputed name in the UAE construction industry for the last 12 years. The Post-Tensioned Slab System consists of a fully integrated hardware and stressing equipment system of engineer designed components which meet the exacting requirements of the appropriate codes. The Post-Tensioned Slab is manufactured to meet strict quality control standards and tolerances thus enabling designers, engineers and Post-Tension professionals to specify and use the system with confidence. The system has been designed, manufactured, and installed in a wide array of projects in the industrial, commercial and civil engineering industries. The stressing components and equipments enjoy an enviable reputation for integrity.